Promoting well-being is part of Ontario’s Achieving Excellence vision. To this end, the Ontario Ministry of Education has drawn from the CSH conceptual framework and revised a resource that supports the integration and implementation of CSH across school and school boards. 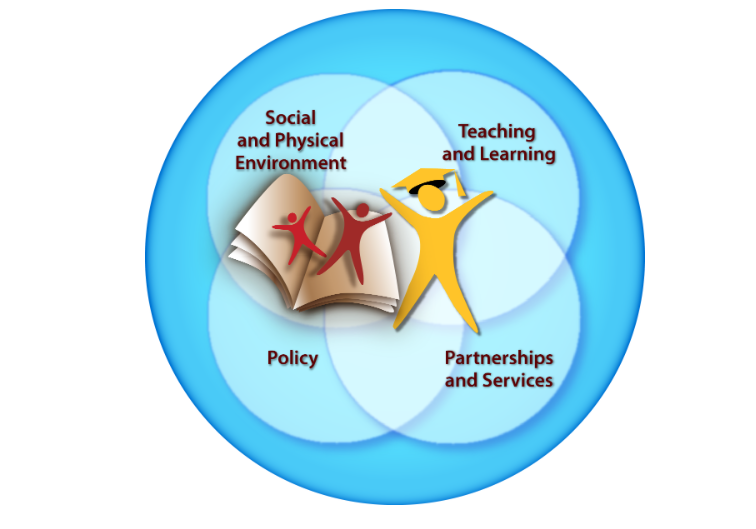 The updated Foundations for a Healthy School resource is intended to support the “integration of healthy schools policies, programs, and initiatives into school and school board planning and implementation processes” (Ontario, 2014, p. 3). 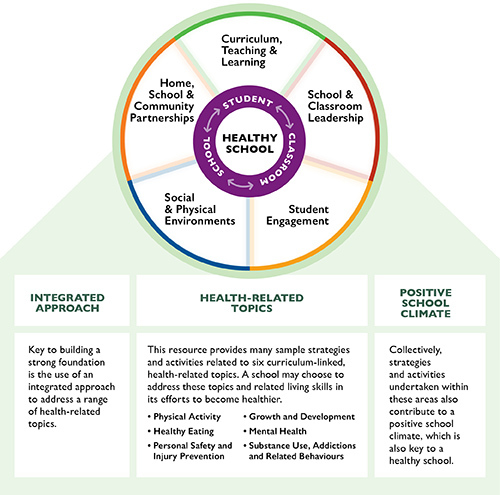 To support the implementation of CSH, the Ministry has identified 5 key areas for focus in Foundations for a Healthy School. Hover over each key area for more information.